Dmitri “David” Zaikin made Russian energy deals with powerful officials, advised Eastern European parties drifting toward Russia, brokered condos at Toronto’s Trump Tower, and teamed up with the guy who hired Michael Flynn. 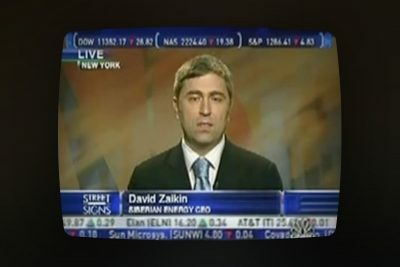 David Zaikin appeared on CNBC in 2006 promoting Russian oil and gas to Western investors. He later steered lobbying for Albania, Macedonia and Turkey. More than two years ago, two men started visiting Washington to push Turkey’s agenda in the capital. They dined with dignitaries and enlisted prominent lobbying firms from both sides of the aisle. It was an unremarkable Washington story, except for one thing: the last lobbyist one of the men hired was Gen. Michael Flynn, President Trump’s campaign adviser at the time, who was later fired as national security adviser for lying about his conversations with Russia’s ambassador. Flynn’s client, a Turkish businessman named Ekim Alptekin, has gained attention as federal investigators examine Flynn’s apparent failures to disclose foreign contacts. But so far, the other man in the pro-Turkey efforts has largely avoided public notice. That man, Dmitri “David” Zaikin, is not registered as a foreign lobbyist and has no apparent connection to Turkey. What he does have, a ProPublica-Politico examination found, is a long track record of partnering with powerful Russian businesspeople and government officials, mostly involving energy and mining deals. More recently, Zaikin has done political work in Eastern Europe, advising parties in Albania and Macedonia that have drifted toward the Kremlin. Zaikin also has business connections to Trump. Working at a real estate agency in Toronto in the 2000s, Zaikin brokered sales in one of the city’s new high-rises: the Trump International Hotel & Tower﻿. Perhaps coincidentally, Zaikin was also close with a Russian woman who was the exclusive agent for one of Trump’s Florida developments and who was branded “Trump’s Russian hand” by a glossy Russian magazine. Zaikin has not been accused of any wrongdoing. Alptekin and Zaikin have denied knowing each other and say Zaikin had nothing to do with Flynn’s lobbying deal. As this reporter previously reported in Politico, three people with direct knowledge said Alptekin and Zaikin collaborated on Turkish lobbying, jointly steering the work. Zaikin referred questions to his lawyer, who declined to comment. 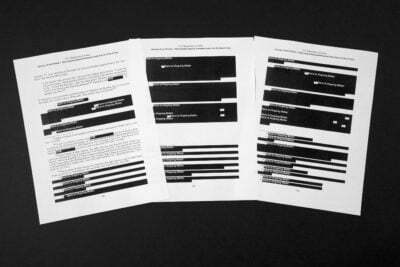 Flynn’s lawyer didn’t answer requests for comment. The White House referred questions to Trump’s outside lawyer, whose spokesman also did not respond to a request for comment. Zaikin says he was born in 1967 in Kharkiv, Ukraine. 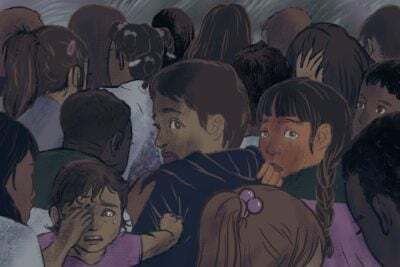 In an earlier email to Politico, he wrote that his family long faced anti-Semitic persecution in their homeland and that they fled the collapsing USSR for Canada in 1990. “Mr. Zaikin reserves nothing but contempt for the Soviet government, and whatever vestiges of it may still exist,” his lawyer, Tara Plochocki of the firm Lewis Baach Kaufmann Middlemiss, wrote to Politico. But Zaikin gave a different account to Geoffrey P. Cowley, a British engineer who was his business partner from 2010 until they split in 2016. Cowley said he never heard Zaikin claim his family was persecuted, nor had he heard Zaikin criticize the former Soviet Union. “That might be the official line,” Cowley said. Instead, according to Cowley, Zaikin had said his father was in the Soviet military or diplomatic corps. Settling in Toronto, Zaikin was active in the community of Jews from the former Soviet Union. He soon became a real estate agent, eventually with an upscale brokerage. He marketed properties to Russian buyers. He married a woman from St. Petersburg and had three children. Zaikin worked to help the governor of the western Siberian province of Kurgan attract Western investors for energy exploration and infrastructure, according to Tim Peara, whom Zaikin hired to help raise money in the United Kingdom. “He did the government of Kurgan a lot of favors in terms of helping to raise money for them,” Peara said. The governor reported directly to President Vladimir Putin, according to a company press release. The region’s prospects didn’t pan out: Zaikin’s company never pumped a single barrel of oil or cubic foot of gas, according to disclosures filed with the Securities and Exchange Commission. The SEC repeatedly queried the company about its financial dealings, specifically about its payments to Russian executives and consultants in shares and options whose values were opaque or shifting. “We note that although you describe various transactions utilizing common stock of the company, it is not clear from your disclosures how the value of such stock for each transaction was determined,” SEC officials wrote in one letter. In 2006, Siberian Energy Group used shares worth $2.7 million to buy a Russian company, Kondaneftegaz. Less than two years later, Zaikin’s company sold significant stakes in Kondaneftegaz to two Russian investors for just $10 each. Kondaneftegaz had actually been awarded two additional drilling licenses before those sales, according to SEC reports. Zaikin previously told Politico that he was “not involved” in that transaction, though his signature appears on the purchase and sale agreements filed with the SEC. Zaikin obtained Siberian Energy Group’s licenses at auctions that weren’t publicized and were only attended by people who had government connections, according to a contractor for the company. Zaikin’s lawyer refused to comment on this. Zaikin’s business career continued to involve both Russian oil work and Toronto real estate dealings. In 2005, Zaikin told the Globe and Mail newspaper about a new development he was promoting: the Trump International Hotel and Tower. The newspaper reported that Zaikin called his “top five international clients” and four agreed to buy. 1990: Dmitri “David” Zaikin arrives in Canada from the Soviet Union. 2002: Zaikin gets involved in the Russian energy industry, helping a regional governor attract Western investors. 2005: Zaikin brokers condos in the Trump Tower in Toronto. 2007: Zaikin helps lead a mining company for a Russian oligarch. 2015: Zaikin starts advising Kremlin-friendly political parties in Turkey, Macedonia and Albania. 2016: A businessman whom Zaikin worked with on Turkish lobbying hires Gen. Michael Flynn to lobby for Turkey. Not long after, Zaikin and several colleagues from Siberian Energy Group became directors or shareholders of a mining company called RAM Resources, later First Iron Group, according to corporate filings. First Iron’s board included the deputy chairman of Russian state bank VEB, who had also been Putin’s deputy chief of staff. The company was registered in the British isle of Jersey, a haven for offshore companies. Other investors in the company were themselves offshore firms, based in the Cayman Islands, Cyprus, the British Virgin Islands and elsewhere. According to Zaikin’s partner Cowley, who served on the company’s board, the venture drew a takeover bid from Alisher Usmanov, an Uzbek-born Russian iron oligarch. Usmanov’s representatives did not respond to a request for comment. Cowley, an experienced mining executive who had worked for other Russian oligarchs, said he was impressed by Zaikin’s global political connections. By 2011, Zaikin had moved to London. He set up several companies registered at his home address. One of them, EM Infrastructure Ltd., lists two names on a U.K. incorporation document: Neither is Zaikin’s. One is his wife, a jewelry designer. The other is a Viktor Grabarouk, whose address is listed as Zaikin’s home — though the same document states that he usually resides in Belarus — and whose birthdate is listed as one day after Zaikin’s own. A search of corporate records and the comprehensive British phonebook showed no references to a Viktor Grabarouk. A few years later, Zaikin’s career took yet another turn. After working in residential real estate and the Russian energy sector, Zaikin became an adviser to the ruling parties in Turkey, Albania and Macedonia. He also began working with those parties to set up lobbying in the United States. Zaikin told Cowley he wanted to be “working with the staffs of senators and high-profile people in the States,” Cowley recalled. The two stopped working together as Zaikin focused more on politics. Starting around 2015, Zaikin helped run pro-Turkish nonprofit groups to lobby U.S. lawmakers, according to an American consultant who worked with him, John Moreira. Alptekin, the Turkish businessman who later hired Flynn, told Politico he worked with the main group Zaikin helped set up. In August 2016, Alptekin signed a contract with Flynn for $600,000 to urge the U.S. to turn over Fethullah Gülen, a cleric now in Pennsylvania whom Turkish President Recep Tayyip Erdogan accuses of trying to topple him. The contract refers to Alptekin as “Capt. Ekim Alptekin.” Alptekin said he’s not a captain and he doesn’t know why the contract calls him one. Flynn was paid by a Dutch consulting firm that Alptekin owned called Inovo, according to Flynn’s Justice Department disclosures. But records show Inovo had no significant business activity in the three years before the Flynn deal. In fact, the company was in debt for more than 125,000 euros in the months before paying Flynn. Alptekin acknowledged in an interview that Inovo lacked sufficient funds and said he used his own money to pay Flynn. Robert Mueller, the special counsel investigating Russian efforts to influence the election, is interested in the source of Flynn’s lobbying income, according to a person familiar with the probe. Mueller’s spokesman declined to comment. While working on Turkey, Zaikin also facilitated lobbying and political consulting deals for the Macedonian political party VMRO-DPMNE, according to four people with direct knowledge of the activities. He did the same for Albania’s Socialist Movement for Integration, known as LSI, according to four people familiar with the arrangements. Zaikin introduced leaders of both parties to American lobbyists and campaign advisers, the people said. VMRO, like Turkey, historically aligns with the West but has recently cozied up to the Kremlin. VMRO for months refused to leave power despite failing to win enough seats in a December election to form a parliamentary majority. The standoff put the party at odds with the U.S. State Department, whereas it’s received forceful backing from the Russian Foreign Ministry. Albania’s LSI and its leader, Ilir Meta, are avowedly pro-Western but have sometimes clashed with the State Department over the U.S.’s push to reform the country’s criminal justice system. Around the same time Zaikin started getting more involved in Eastern European and American politics, he and his wife repeatedly met with a friend named Elena Baronoff who worked with the Trump Organization to sell condos in Florida. 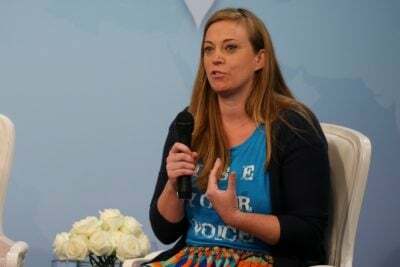 Baronoff was born in Russia, earned degrees in journalism and mass communication, and served as an official “cultural attaché in public diplomacy” for the Russian government at an unspecified time, she said in interviews and bios. In 1989, she moved to Iowa, then Florida. As the exclusive agent for the Trump Grande development, Baronoff sold 44 units to Russian buyers, according to an analysis by Reuters. An undated photo surfaced on Twitter showing Baronoff in Moscow with Trump’s children Ivanka, Eric and Don Jr.
NEW Photo: Ivanka, Don & Eric Trump in Russia ߔ¥this is 1st photo ever released of Eric there. Baronoff fell ill while traveling to Turkey in 2014 and was diagnosed with leukemia. She died in 2015. Following her burial, her family received visitors at the Trump International Beach Resort. Her son, George Baronov, said his mother worked for Trump after first doing business with Trump’s partner in Florida. “She was the in-house broker,” Baronov said. “She did a lot of marketing and advertising and traveling around the world.” The Moscow trip with Trump’s children was in 2003 or 2004, he said. Two years before she died, Baronoff worked on a $28 million Manhattan real estate deal with Turkish President Erdogan’s son and son-in-law, according to hacked emails published by Wikileaks. The emails also showed the son and son-in-law receiving updates about Zaikin’s lobbying efforts. In September 2016, as Flynn later disclosed, Alptekin arranged a meeting between the same son-in-law and Flynn himself. Do you have information about David Zaikin, or Michael Flynn’s lobbying? Contact Isaac at [email protected] or via Signal at 203-464-1409. Here’s more information on how to leak to ProPublica. Clarification, July 27, 2017: We added that Victor Grabarouk, whose name appears on a U.K. corporate record with Zaikin’s wife, usually resides in Belarus, according to the corporate record. Update, July 17, 2017: We updated the description of Alisher Usmanov’s involvement with First Iron Group. Geoffrey Cowley, who served on the company’s board, originally said Usmanov controlled the company. After publication, Cowley said Usmanov bid for control.